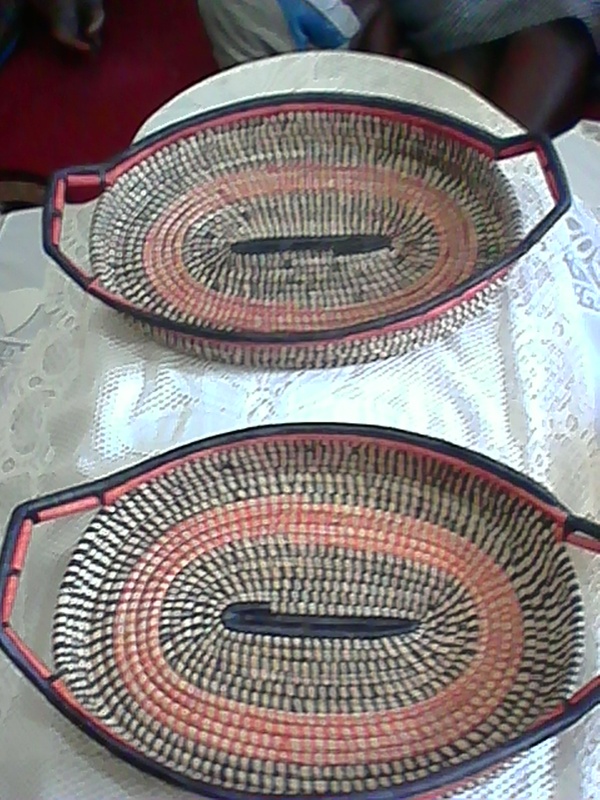 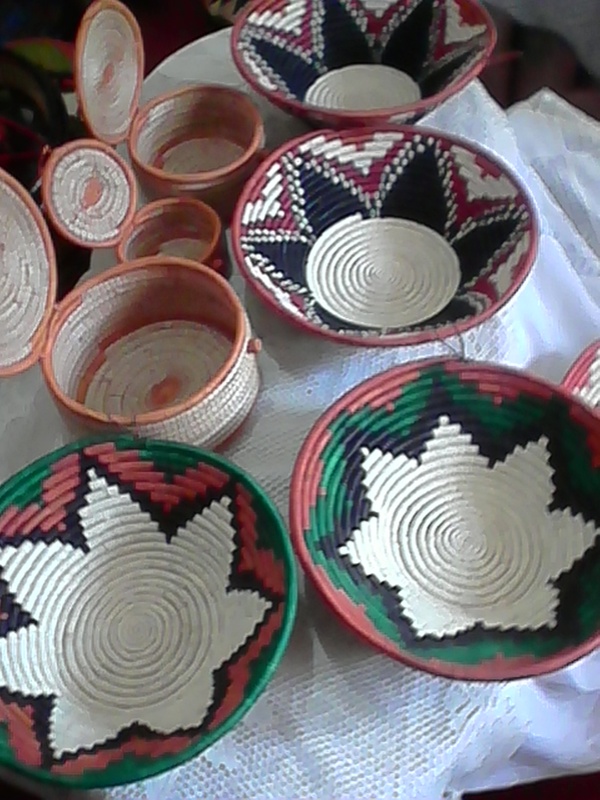 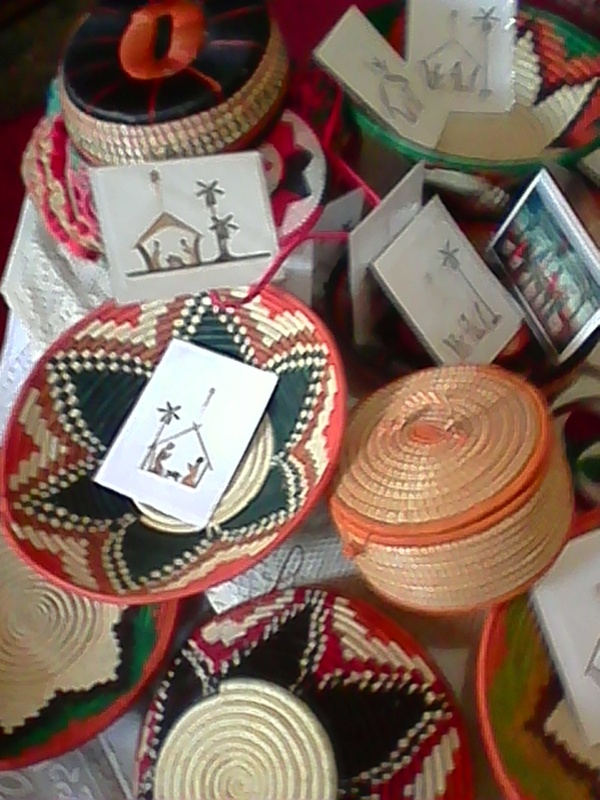 Mission International is able to offer simple African crafts for sale. 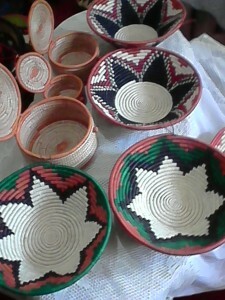 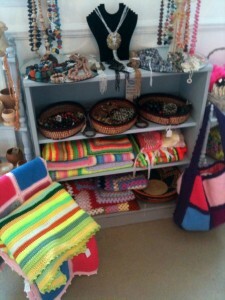 Items like beads, bracelets and baskets are available in a selection of designs. 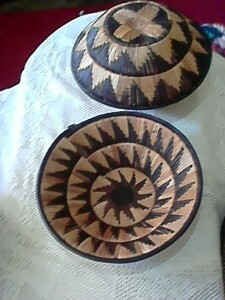 Some examples are shown below and are available for sale at our events as well as by mail order. 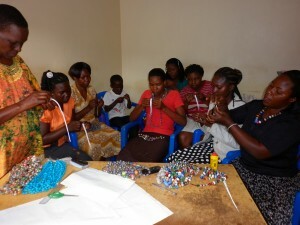 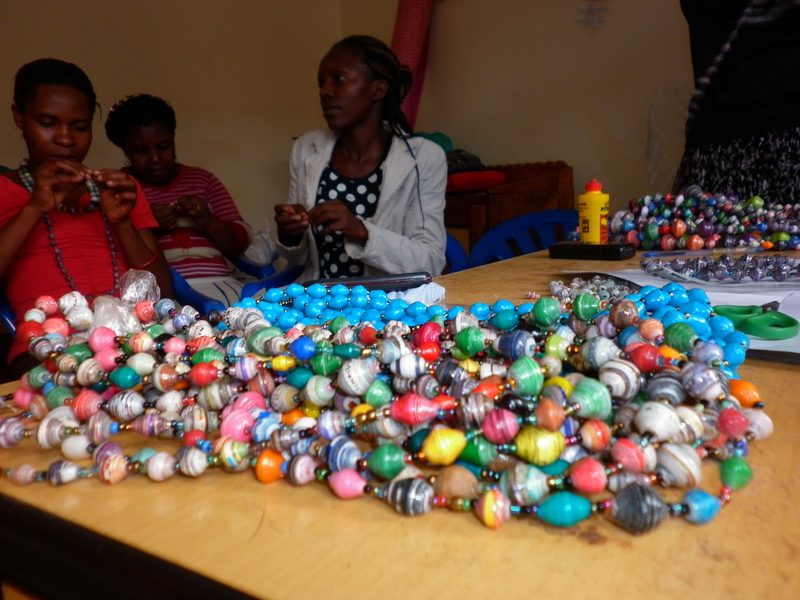 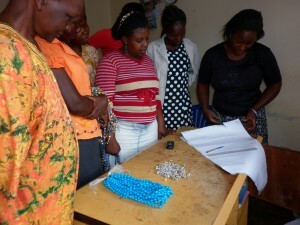 The ladies who make the beads live in rural villages and are given training after which they join in this small income generating cooperative business. 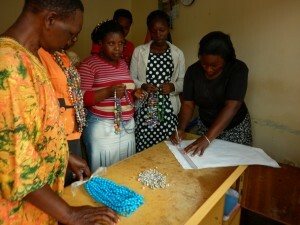 The income the project provides makes it possible for them to support their families in a variety of ways. To support these women and others like them you can purchase some of their products, or help us start new income generating projects by supporting Mission International’s Micro-Finance initiatives in operation around the world. First the special paper is measured accurately for the various sizes of beads which are required for the rance of necklaces and bracelets which will be made. 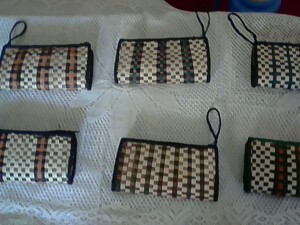 Various patters are applied to the paper to produce the designs necessary after the beads have been created. 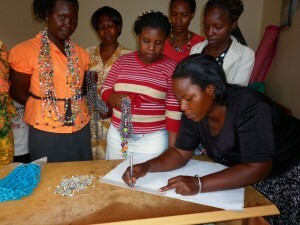 The paper is folded and rolled into its final shape before being varnished and left to dry. The finished beads are strung and have the finishing touches put to them before being offered for sale. To find out more on how to acquire some baskets and beads please contact us via our contact page.